Congratulations to our EIGHT medal winners at Districts. 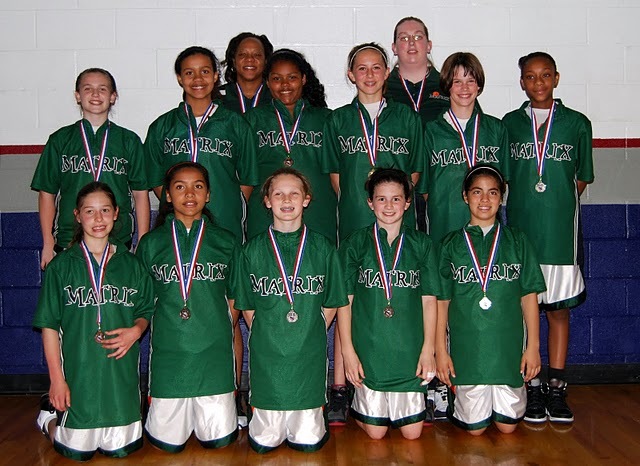 Congratulations to the eight Matrix teams that finished in the Top 3 at in the 2010 Potomac Valley District Qualifying Tournament ("DQT"). Medals were awarded to the top four finishers in each age group and division (D-I and D-II). With all 8 of the Matrix medals being in the Top 3, this gave the Matrix more Top 3 finishes than any other club in the highly competitive Potomac Valley District. Our eight medals also placed us in second in the overall medal count. 2010 was just the third year that the Matrix has competed in DQTs and we are so proud of all our players and coaches for their on the court success. 14 Matrix teams entered in the "DQTs; this was the most of any club in the Potomac Valley District. 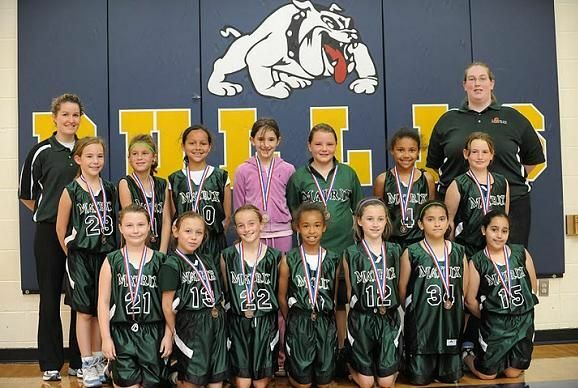 Click here to visit the 2010 DQT homepage from the Potomac Valley AAU Girls' Basketball website for all the information about Districts, including scores, final results, a list of medalists and other information.